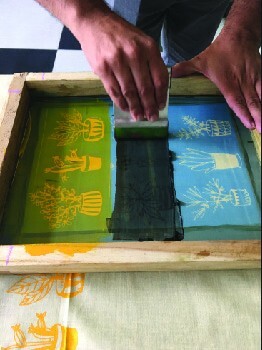 Bloom & Grow presents an exhaustive course on screen printing in collaboration with Lets Ink. Master the art of Screenprinting as you Learn the complete process of screen printing. You would be able to print your own t-shirts, saris, bed linens, gift wraps, coasters, gift bags, envelopes, visiting cards & much more by the end of the workshop. Cost: Rs 6,500/- (Inclusive of all material & a kit worth Rs 2000 and lifelong access to 500+ designs for you to get started). Bring along T-shirts or stoles to try your print on.